If space is important to you, then you'll already have invested in a super king size bed. But that's only half the story. For a great night's sleep, you'll need to invest in a good quality mattress, and our range of Swift super king size mattresses will ensure that you sleep soundly knowing you can really stretch out. Swift mattresses produce high-quality memory foam mattresses in Britain, and their range has something to suit every sleep style and every budget. 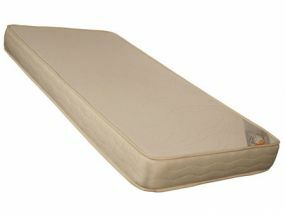 Memory foam is hypoallergenic and supportive, absorbing your weight to relieve pressure on your joints. 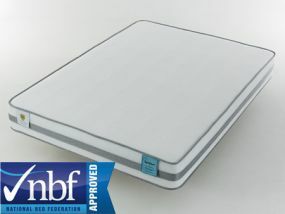 If you suffer from back problems, then a Swift mattress will provide ideal alignment for your spine. Swift's unique gel feel mattresses offer optimum support, breathability and cooling while high-density foam offers comfort and durability with a slimline profile. Whichever Swift super king size mattress is right for you, we'll deliver it next day for free. There's never been a better time to give yourself the gift of a perfect night's sleep.